One of my favorite printable coupons is available again! 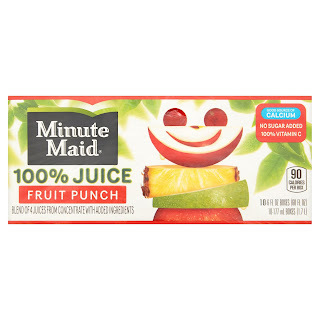 Head over to print out this $1/1 Minute Maid Juice Box 10-pk, any variety coupon. Hang on to this coupon and wait for a sale, or use it now at Target where the 10-packs of Minute Maid Juice Boxes are regularly priced at $3.14 each. Final cost $2.14 – just 21¢ per drink!